Everything you need to make your finest blend of Whiskey, aged to perfection and is the perfect gift idea. Thousand Oak Barrel Co. brings the honored tradition of distilling home by providing the proper tools to age your own Whiskey. Explore the world of Whiskey by making and aging dozens of different styles of Whiskey. Choose your whiskey flavor or mix and match to create your own personal blend, then age your own distillery quality whiskey in as little as 2 weeks. 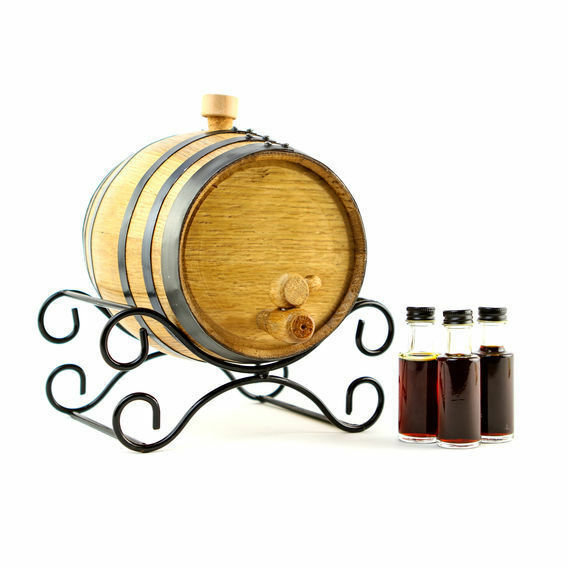 Each kit comes with an authentic mini oak aging barrel just like those used in professional distilleries that doubles as an eye-catching centerpiece. Simply cure your barrel then pour grain alcohol or neutral flavored vodka into the vessel along with your choice of Swish Barrel Essences then sit tight because in just two weeks time your one-of-a-kind blend will be aged to perfection and ready to serve straight from the tap.